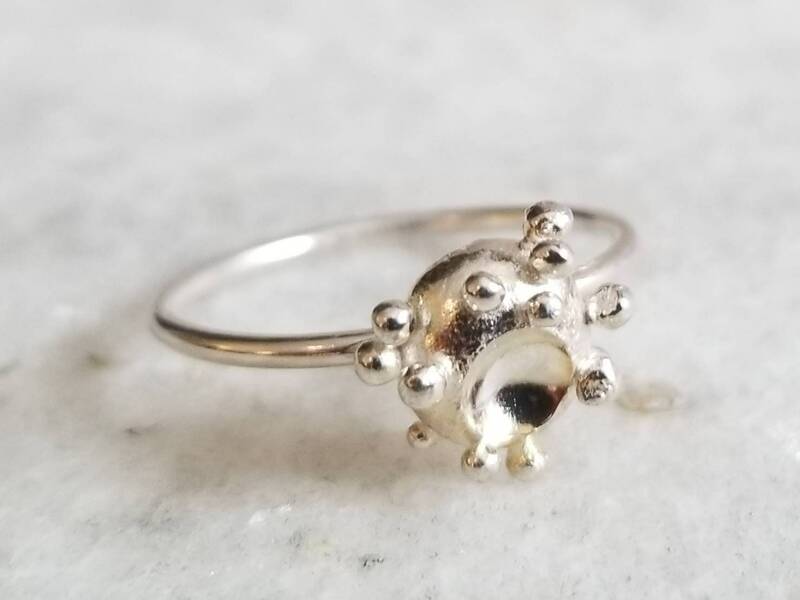 I was playing around with melting silver and here is the result! 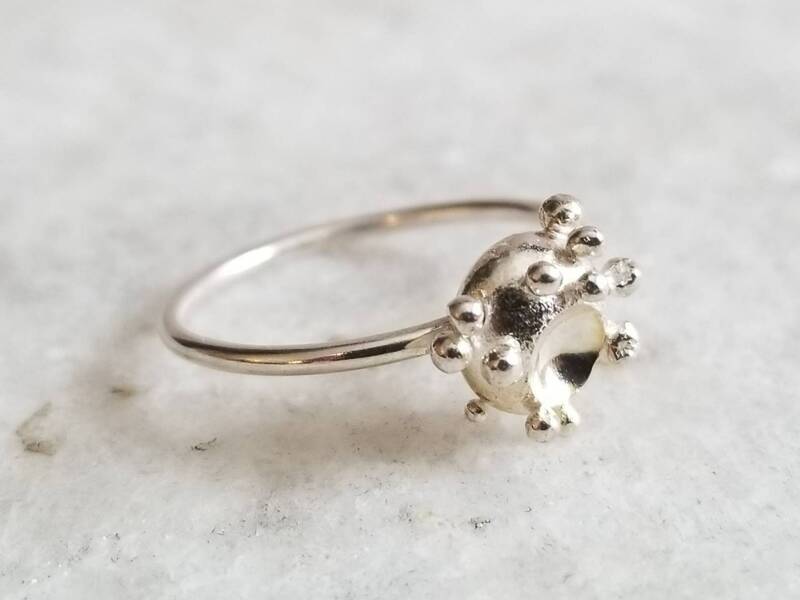 It reminds me of some of my favourite things, tiny creatures and celestial bodies. 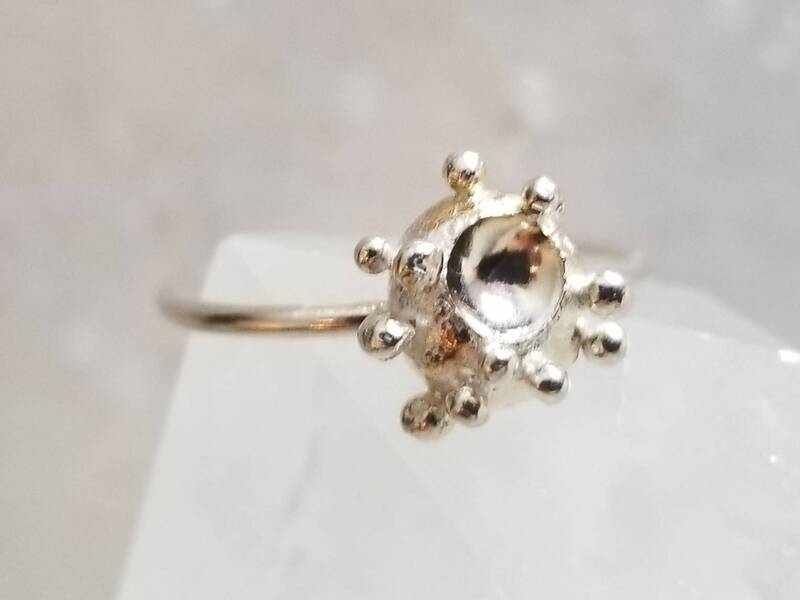 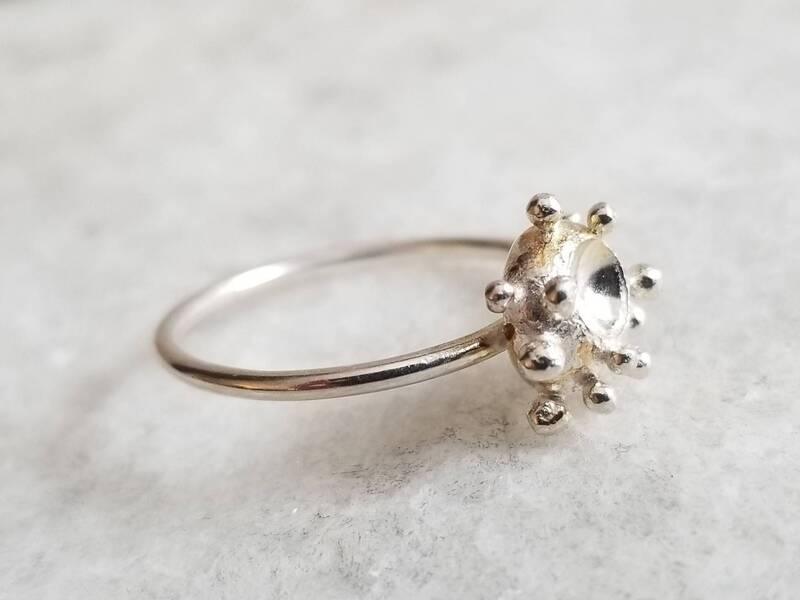 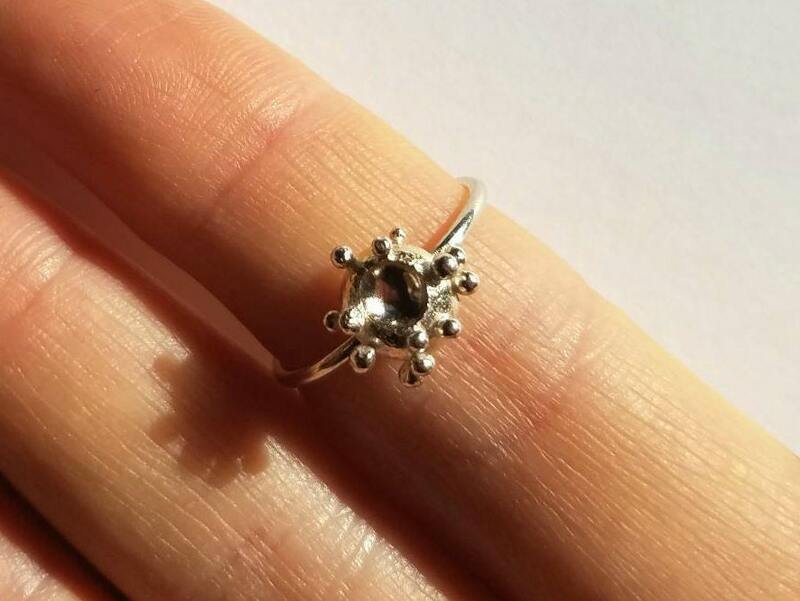 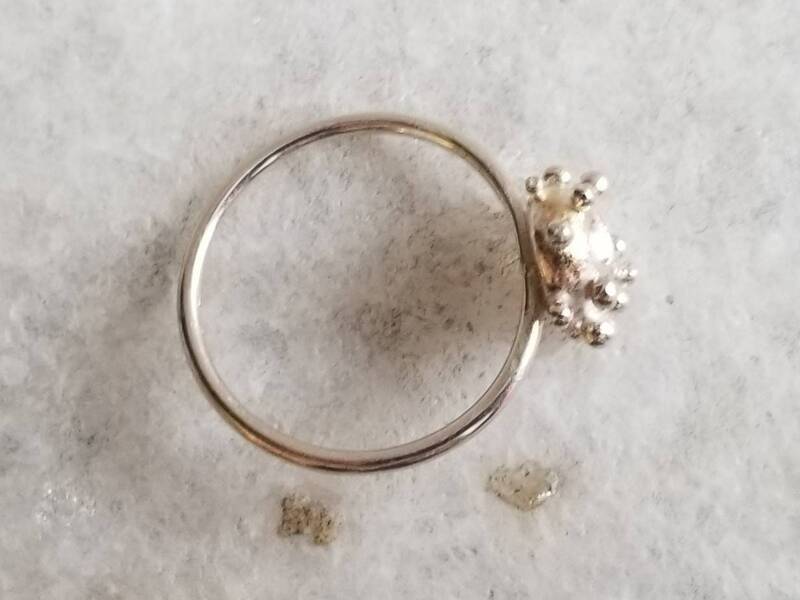 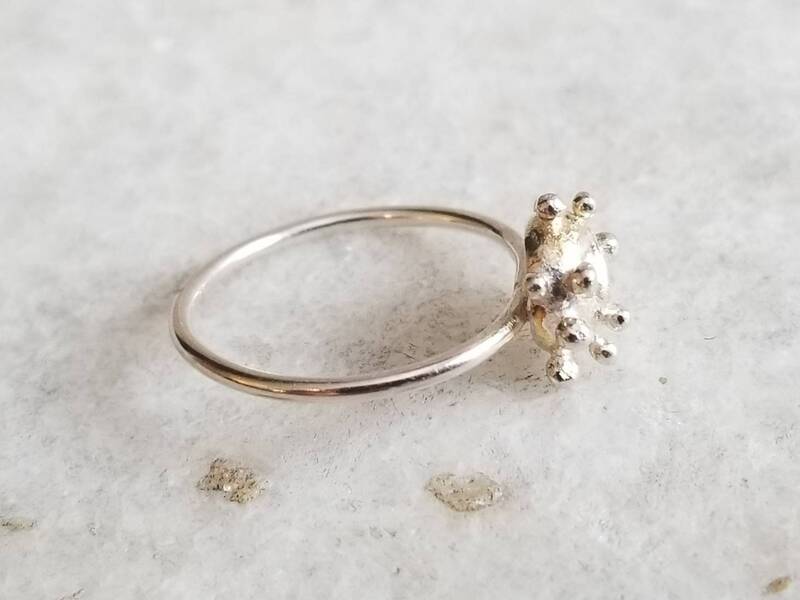 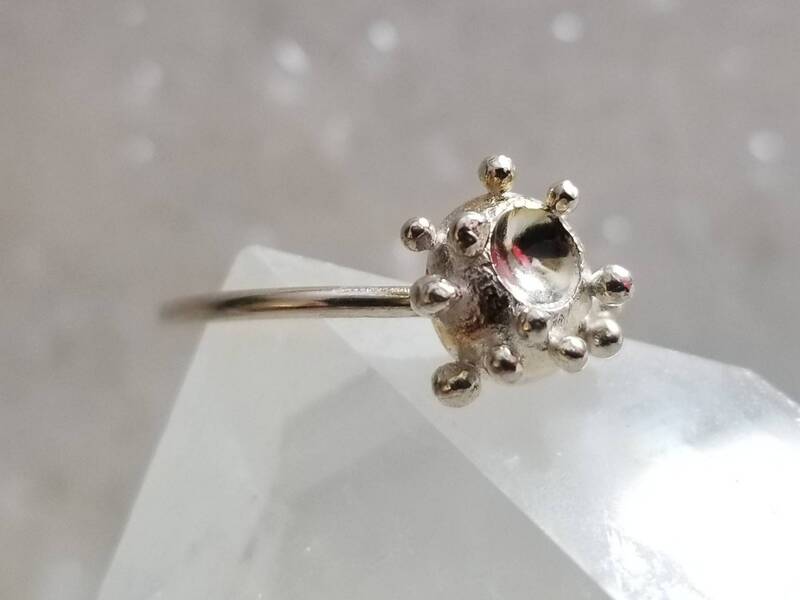 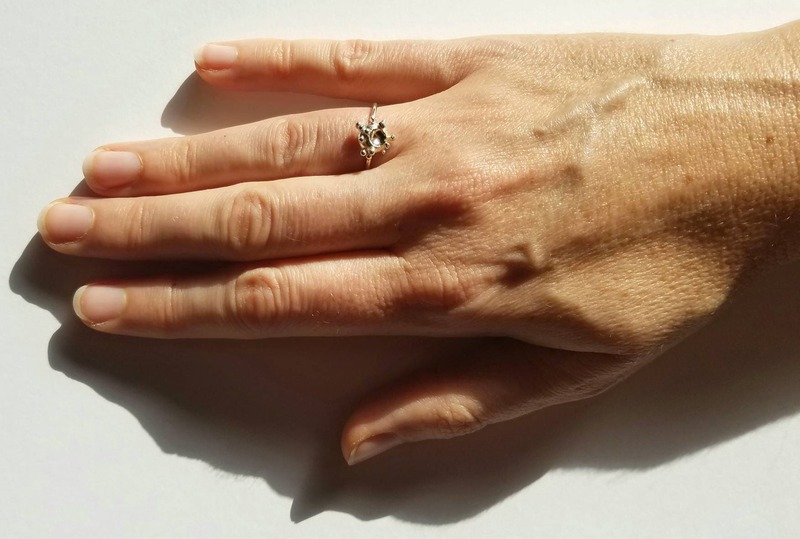 The center of the ring is approximately 9mm in diameter, solid sterling silver with a high polish concave detail and lots of tiny silver granules fused around it. 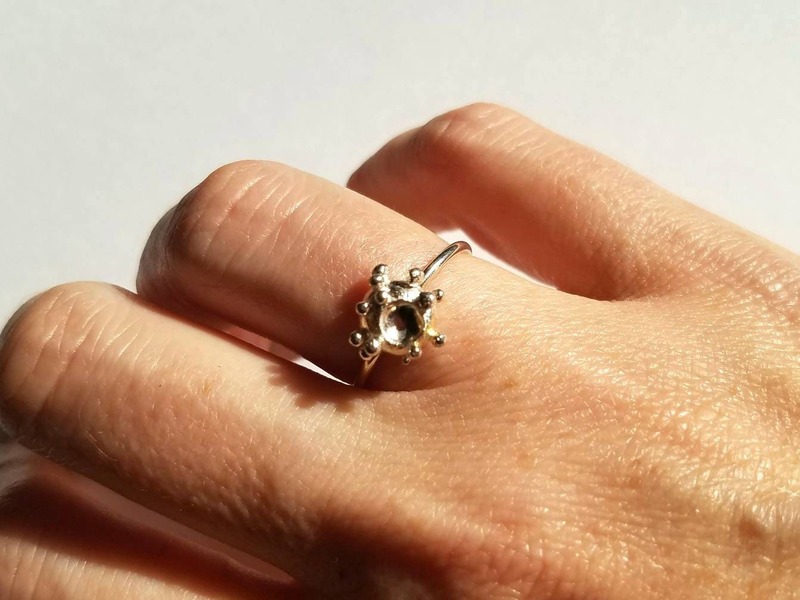 It is one of a kind and made from reclaimed sterling silver.